I’ve been in New Orleans now for about 24 hours. I’ve accomplished a lot in this amount of time. I have had two dinners, met up with a friend that I haven’t seen in about 12 years, ate beignets and enjoyed a cafe au lait at Cafe du Monde, went to Jazz Fest, soaked in a hot tub and had a mini swimming lesson. This blog post will focus on my two dinners. My friend and I arrived late last night so we were at the mercy of a restaurant near our hotel and one serving dinner past midnight. Yelp introduced us to Root. Rumor has it they will open a second restaurant called Square Root. That’s cute! We sat at the bar, had cocktails and shared a couple of plates. Two of the three plates were something to write about. 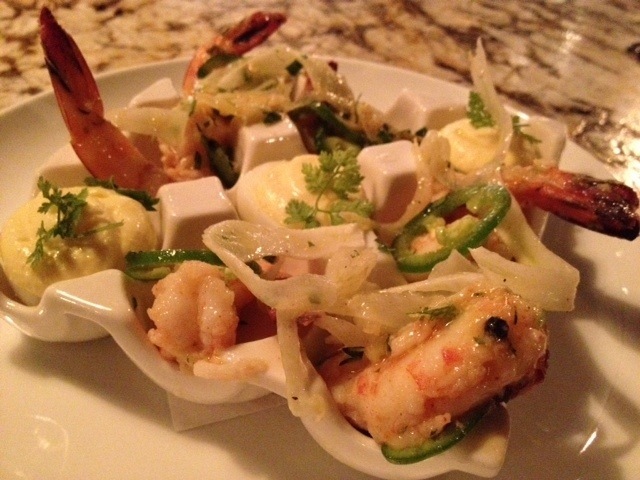 We had the Louisiana Pickled Shrimp described as shrimp stuffed deviled eggs with a truffled egg yolk mousse. The deviled eggs were delicious. 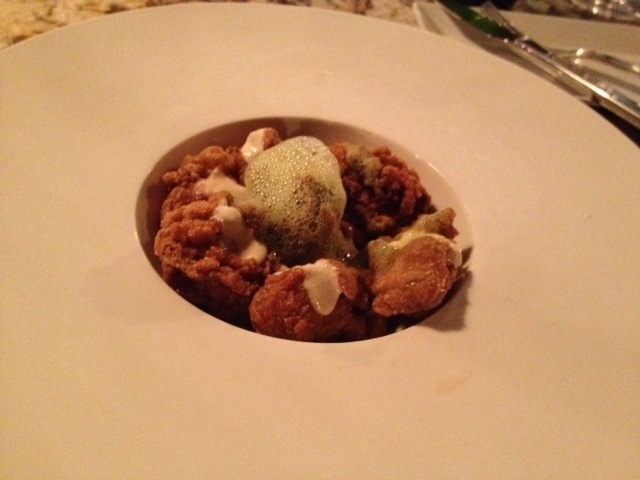 Our second dish was smoked cornmeal encrusted Louisiana oysters. I tend to eat mostly raw oysters back home and found these deep fried oysters amazing. Our third dish was “sweet tea” country fried chicken wings. I was disappointed by this. The chicken itself was juicy and cooked well, but the crust and skin was way too salty and was spiced with too much paprika. My photo didn’t come out, but I’m not recommending it anyways. Roots also makes their own charcuterie and sausages and probably worth trying. I would definitely come back to Roots and try their house made meats. 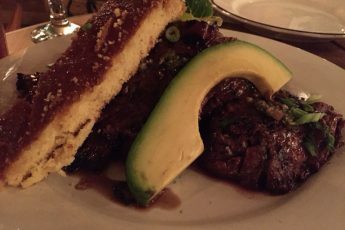 Tonight’s dinner was at Atchafalaya. To sum it up, they had great cocktails, half our dishes were excellent, dessert was the bomb, and service was horrible. I’ll only write about the good stuff. I had to try a sazerac, New Orleans version of an old fashioned. I enjoyed it. 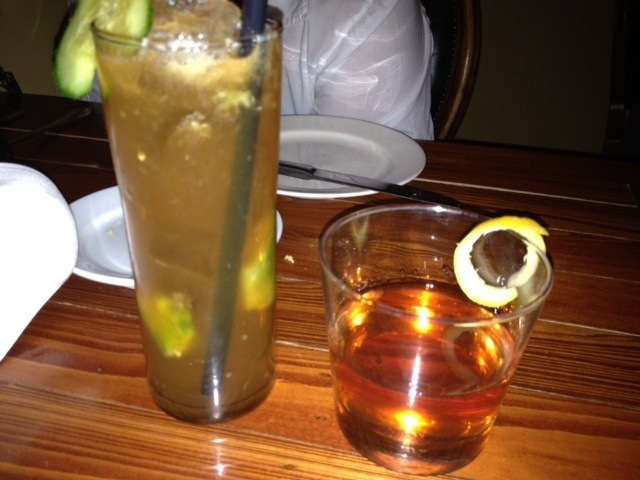 My friend ordered a Pimms Cup. This British drink is a mix of Pimms No. 1, fresh lemon, ginger ale, and cucumber. It was quite refreshing. 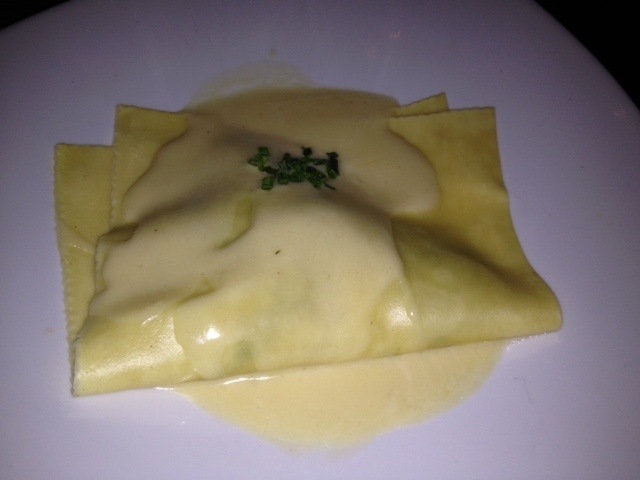 The free-form crab ravioli was impressive. The long piece of pasta was stuffed with crab, shiitake mushrooms, spinach, mascarpone, and citrus buerre blanc and folded in half. I could have eaten much more of this. 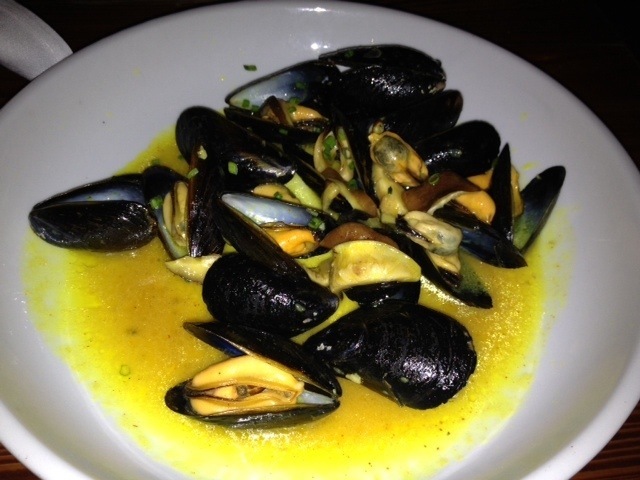 The other dish we liked were the steamed Prince Edward Island mussels. Although the mussels were brought in from the West Coast, they were fresh and tasty. Now for dessert. I am not a big fan of red velvet cake, but I was willing to give it a try since it’s widely considered a Southern dessert. 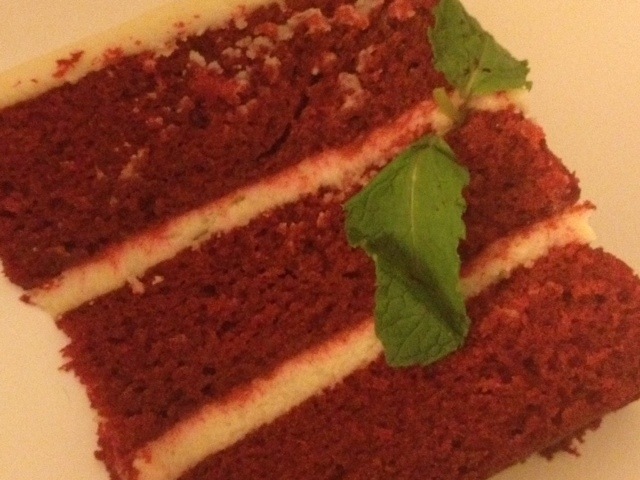 The slice of red velvet was not like other red velvet cakes I have consumed. This version was really light, moist, and not too sweet. It was definitely the best red velvet cake I have ever had. I mentioned the bad service at Atchafalaya. Although they have some great food, I probably won’t go back because of the service. With two and a half more days left in New Orleans, I am confident I will find plenty of other places to eat in New Orleans and write about next week. The photos looks amazing! YUM! Makes me want to fly out to N’Orleans just to try the food!